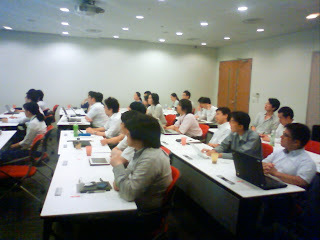 I was giving session today about Red Samurai during Oracle User Group in Japan. 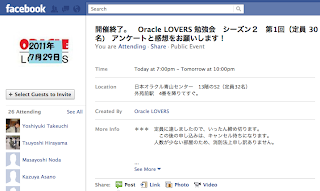 You can read more about Oracle community initiative (Oracle Lovers) in Japan on Facebook. Thanks to Mototaka Yoshida Oracle ACE for inviting me to speak - it was really fun and I enjoyed a lot. 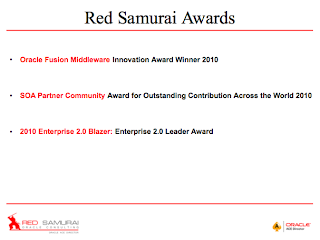 Session topic was - why our company is called - Red Samurai? Thanks, hope to come to Mauritius one day, I was in Cape Town this year - next time I will be in South Africa, I must make it to Mauritius ! How are you? Any plans of presenting in the UK? It might be I will be presenting on UKOUG, but not confirmed at the moment.